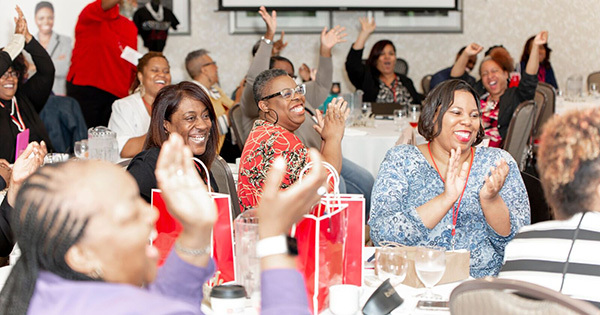 Atlanta, GA — Whether you’re an aspiring author with only a creative idea for a book, or you have 20+ books published and you’re ready to take it to the next level, The Red Ink Conference – the premier conference for authors and editors is for you! This one-of-a-kind conference empowers attendees to write, edit and market their next bestseller – at a fraction of the cost. It all takes place in Atlanta, GA at the Hilton Garden Inn–Wildwood on Saturday, September 15, 2018 from 8 a.m. to 5 p.m.Attendees can expect a time of quality information, food and fun as they experience on-screen editorial exercises, writing prompts, professional headshots and an industry-specific vendor showcase! The conference will cap at 96 attendees. Collectively, conference speakers, Tenita “Bestseller” Johnson, Sulondia “Sue-Ham” Hammond and Lakeisha Dixon have over 30 years of industry experience and run successful businesses that support indie authors nationwide. Attendees will learn new, innovative information that will position them to build a solid platform as an authorpreneur and speaker. Complete with information on marketing, crafting a solid professional bio and book synopsis, as well as self-publishing industry secrets that save both time and money, writers will leave inspired to take their book from the page to the stage and beyond, if they so desire. Early bird tickets are just $97 until July 1, and general admission tickets after July 1 are $167! VIP registrants and vendors will receive an on-site professional headshot photo shoot.